Thread: SALE: Burris Eliminator III Rangefinding Riflescopes !!! 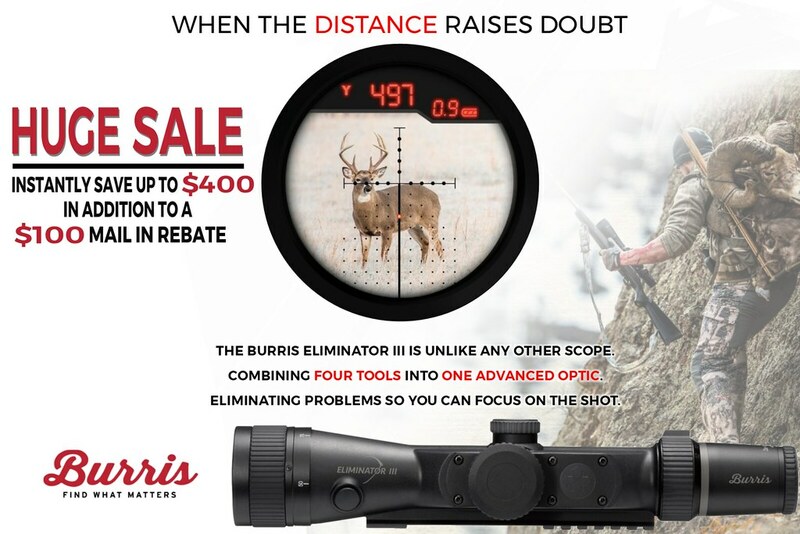 Save up to $400 on Burris Eliminator III Rangefinding Riflescopes, in addition to the $100 Mail in rebate. Last edited by PrecisionOptics Michael; 09-27-2018 at 04:59 PM.